The fortnightly compendium of newspaper theatre reviews was launched in 1981 and has recently joined the digital age. Nick Smurthwaite discovers how it has survived through times of austerity for the industry. Despite record-breaking attendances and a reputation for producing the best theatre in the world, legitimate theatre criticism in the UK remains endangered. Newspapers and magazines have increasingly downgraded their theatre coverage or, worse, dispensed with designated theatre critics altogether. 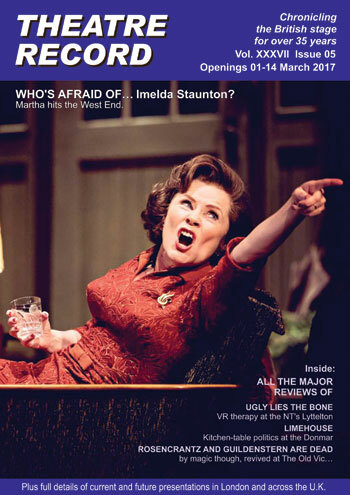 One beacon of hope amid this gloomy scenario is the survival of Theatre Record, the fortnightly compendium of newspaper theatre reviews, covering both London and regional theatre. Launched in 1981 by Ian Herbert – a long-time contributor to The Stage and co-editor of its international section – it has recently become available online as well as in print. Herbert’s original intention was to publish a theatre magazine to replace Plays and Players, which had recently ceased publication. For various reasons, that didn’t happen, but he did pursue the idea of a “bare-bones journal” that would continue the job of the estimable Who’s Who in the Theatre, which he edited in the 1970s, in chronicling the dates and casts of London productions, award winners and runners, as well as reprinting the London reviews and stirring in a dash of theatre gossip. In return for a free subscription, he asked the leading critics of the time for permission to reprint their pearls of wisdom. 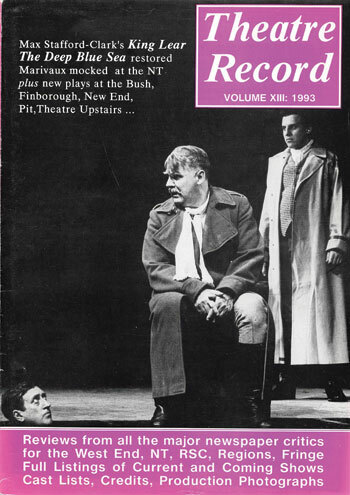 The first 40-page two-for-one issue of London Theatre Record, as it then was, was sent out to 1,000 would-be subscribers in February 1981. Enough people signed up to bankroll issue three. A mere 12 London shows were covered in the first issue, as reviewed by all the national papers except the Times and the Sunday Times, whose arts editors disapproved of Herbert’s project on copyright grounds. It was another 10 years before they came on board, largely due to newly arrived Times critic Benedict Nightingale’s astonishment that they had been absent from the Record’s roster of reviews all that time. Herbert soon started to introduce regional reviews, as well as a 32-page Edinburgh Festival Fringe supplement and grainy black-and-white photographs. One of his fringe reviewers was a young Andrew Marr. Herbert also introduced a section on theatre books in order to bring in some advertising revenue. 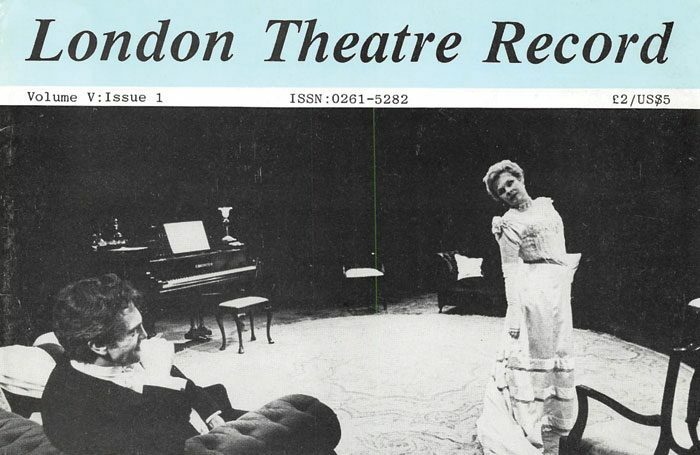 Fast forward to 1991 when London Theatre Record became simply Theatre Record, acknowledging its wider demographic, and the archive was transferred on to a four-disk set of CDs, a far more user-friendly and space-saving way of storing its riches. It also made the content a lot more readable, with the benefit of the computer’s zoom facility. Herbert also started a comment column, Prompt Corner, which he intended to use for notes on forthcoming shows and theatrical bones of contention. As he is the first to admit, it slowly morphed into more of a soapbox for his own critical views and quibbles. 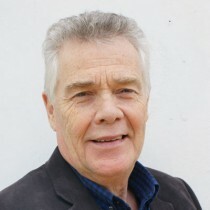 His successor as publisher of the Record, Ian Shuttleworth, continued this tradition with a vengeance, although now that it is under the editorial direction of Julian Oddy, founder of the essential playwrights’ website Doollee, Prompt Corner has become more of an all-purpose forum for critics and theatre commentators. Oddy, a retired accountant with an abiding interest in theatre, has single-handedly and for virtually no remuneration revived the flagging Theatre Record by going digital and opening it up to a worldwide market. So far, the Record has resisted any temptation to include the writings of theatre bloggers, sticking only to the printed media, even though, as Herbert (who remains as consulting editor) pointed out in a recent Prompt Corner column, far fewer critics are reviewing far fewer shows in print. The Stage now offers easily the most comprehensive first-call coverage of UK theatre. For those who are internet savvy, there is no doubt the online Theatre Record, along with the recently completed electronic archive, will prove a boon. 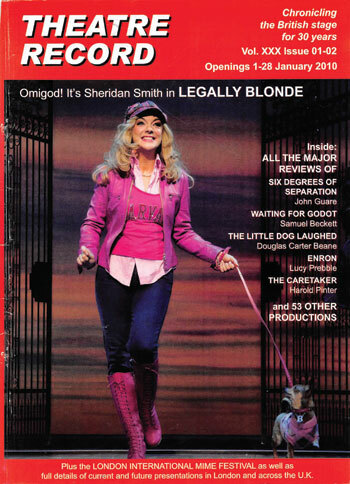 For others, the tried and trusted print edition remains a must-see for theatre nuts.